Secretary of Defense warns North Korea of a "massive military response" to any use of nuclear weapons. U.S. Secretary of Defense James Mattis on Saturday warned North Korea of a "massive military response" to any use of nuclear weapons. Speaking on a trip to Seoul for annual defense talks and quoted by AFP, Mattis maintained that diplomacy remained a "preferred course of action" but stressed, "our diplomats are most effective when backed by credible military force". "Make no mistake -- any attack on the United States or our allies will be defeated," Mattis said at a joint press conference with his South Korean counterpart Song Young-Moo. 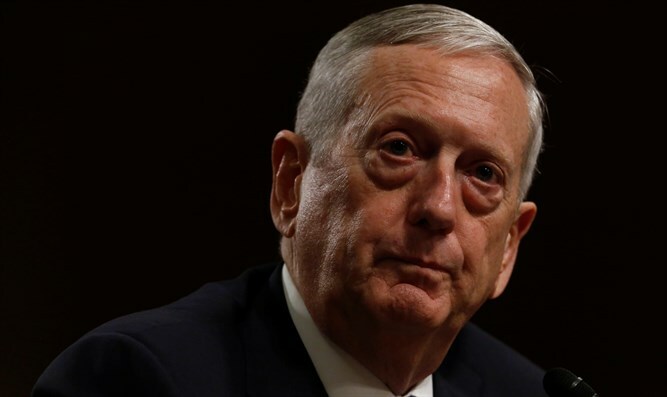 "Any use of nuclear weapons by the North will be met with a massive military response, effective and overwhelming," Mattis added, stressing that Washington "does not accept a nuclear North Korea." "I cannot imagine a condition under which the United States will accept North Korea as a nuclear power," he said. The comments come amid continuing tensions with North Korea. Pyongyang in recent months has sparked global alarm by conducting a sixth nuclear test and test-launching missiles capable of reaching the U.S. mainland, while President Donald Trump and the North's ruler Kim Jong-Un have traded threats of war and personal insults. Last month, during a visit to New York for the UN General Assembly, North Korean Foreign Minister Ri Yong Ho raised the possibility that North Korea could test a powerful hydrogen bomb over the Pacific Ocean. Mattis on Saturday did not specify the threshold of nuclear weapon activity that would trigger a military response, but he did say that Pyongyang should "harbor no illusion", saying the isolated state is militarily "overmatched" by the U.S. and South Korea, a key ally of Washington that hosts 28,500 US troops. Trump said last week that the U.S. was "prepared for anything" when it came to the North Korea nuclear crisis. Trump recently met with his national security team to discuss what was described as "a range of options" on North Korea in response to its increasing nuclear ambitions.